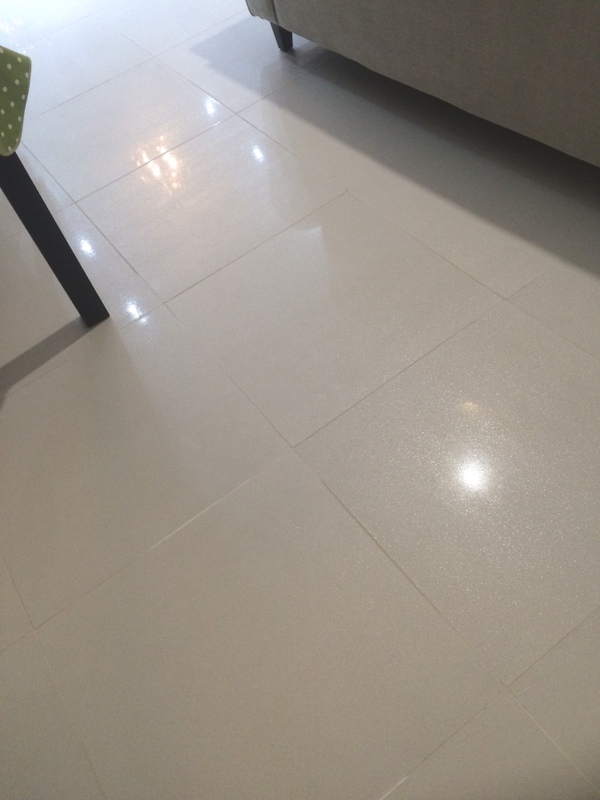 Porcelain tiles are known to be provide durability at a reasonably low cost in comparison to some other types of stone flooring however you do have to be careful as many varieties are micro-porous and need to be sealed to ensure dirt doesn’t become ingrained making them difficult to clean. I recently visited a customer in Heywood, which sits between Bury and Rochdale, who was suffering from this exact problem. Their Porcelain kitchen tiles had been laid about twelve months prior as part of some changes to the property. Unfortunately, builder’s dirt, grout and plaster got stuck to the tiles during the building works and nothing the customer had tried could get it out. The customer was very unhappy with the floor and thought that nothing would resolve the issue, they had even considered ripping it out and getting new flooring. As their last cry for help, they got in touch with Tile Doctor and being their local representative, I went around to take a look at the problem. 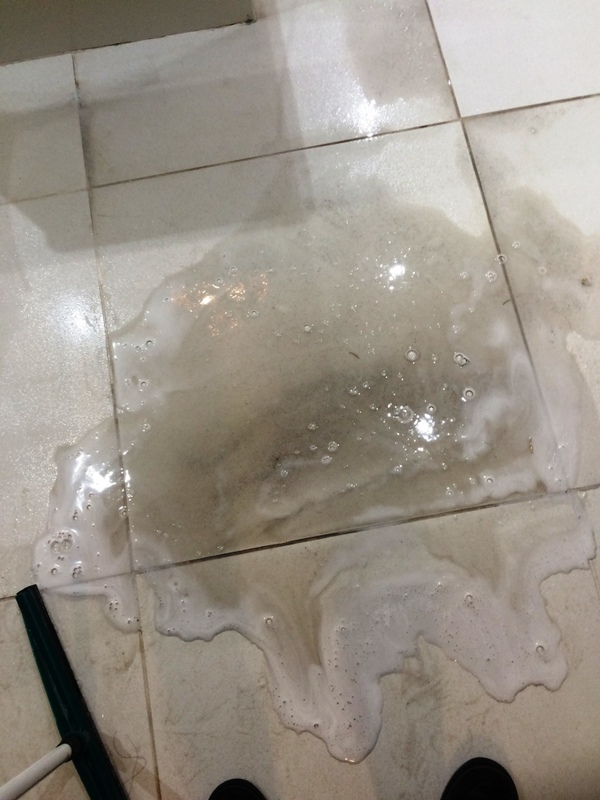 I conducted a test clean using Tile Doctor Pro Clean, which is our highly reliable alkaline-based cleaner for tile and stone. 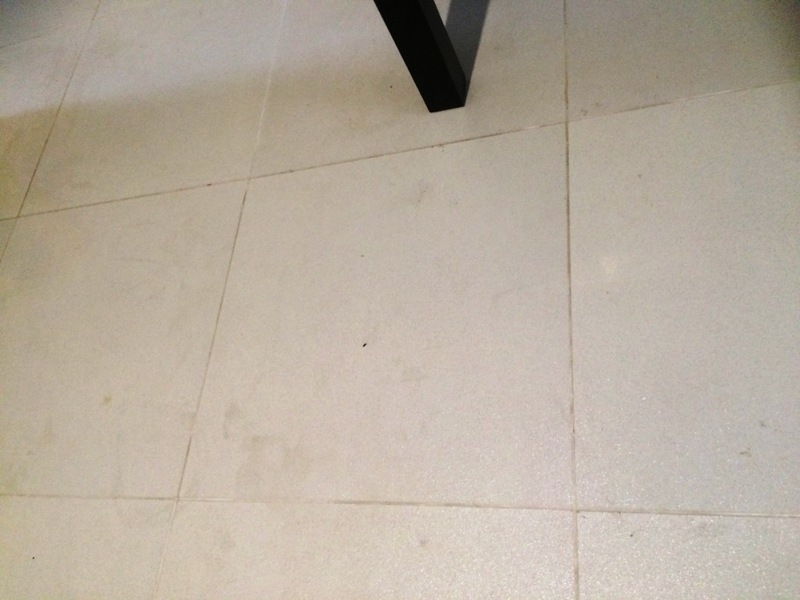 The product was scrubbed into a test patch of the tile and grout with a black pad. The results were promising and so the customer booked a day for us to do the job. On our return we repeated the process with Pro-Clean using a black scrubbing pad this time fitted to a heavy rotary machine which weighs 41kg! This combined with the Pro Clean gave the tile and grout a deep clean. Some stubborn areas were scrubbed by hand, especially in the corners where machine would not reach. 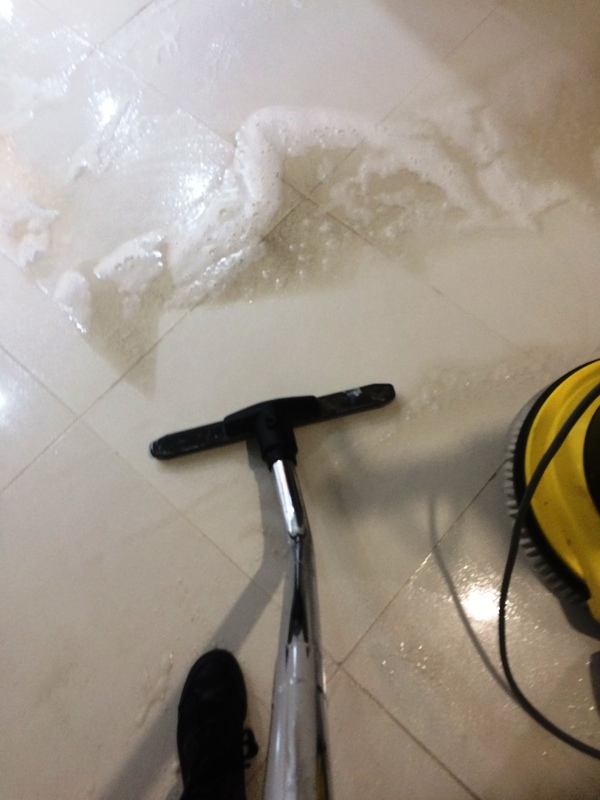 The grout lines were also given special attention with a grout brush and more Pro-Clean to get them clean again. The now dirty cleaning solution was rinsed with water and then removed using a wet vacuum. Being micro-porous the tiles didn’t take too long to dry. 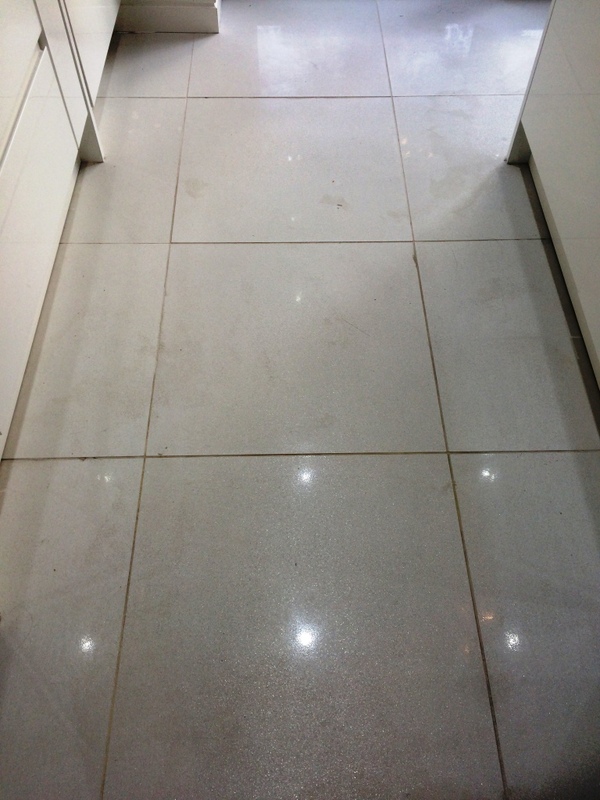 The results from the cleaning were great so, once the floor had dried completely, we sealed the tiles using a coat of Tile Doctor Ultra-Seal to protect them from dirt becoming ingrained in the pores of the Porcelain and Grout and also to ensure the floor would be much easier to clean in future. Ultra-Seal is a premium quality sealer which offers a natural look finish and is designed to provide maximum stain protection, which makes it excellent for use in food preparation and serving areas such as this kitchen. 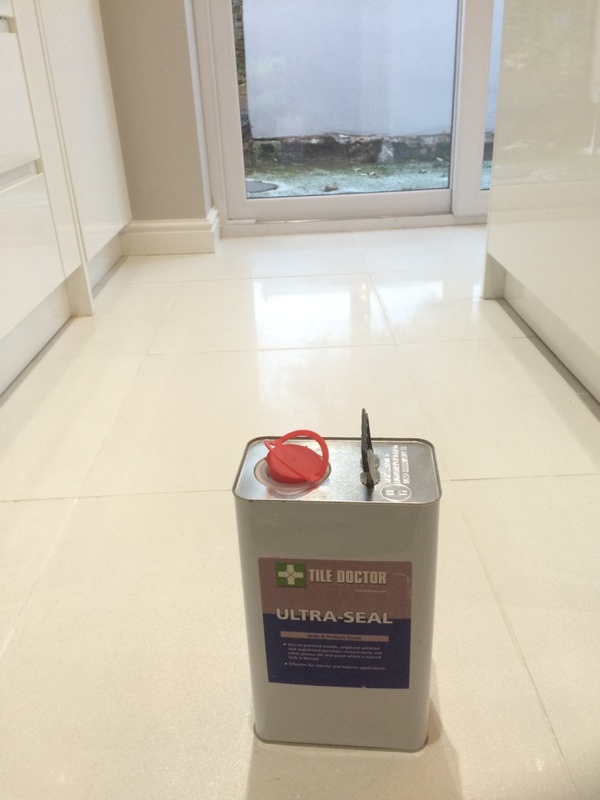 It also very works well as a grout sealer. The customer was over the moon with the outcome of the clean. Perhaps most importantly, this job has saved them the significant cost of having to replace the floor. Another satisfied customer!